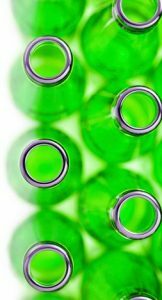 The average glass recycling rate in the EU28 zone has reached the 74% threshold for the first time. This means that over 11.6 million tons were collected throughout the European Union in 2014 or 3.5% more than in the previous year. 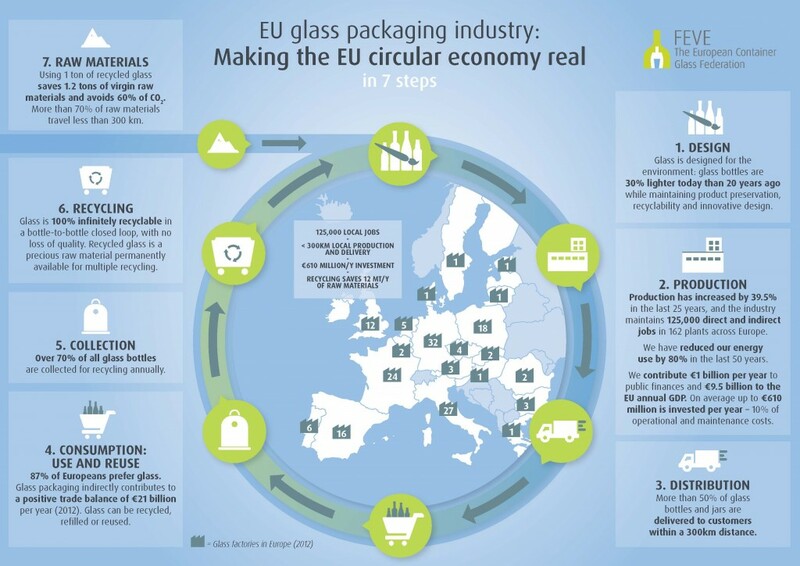 The majority of that goes b ack into making new packaging: glass stands alone as the most closed loop recycled food and drink packaging in the EU and in the world. 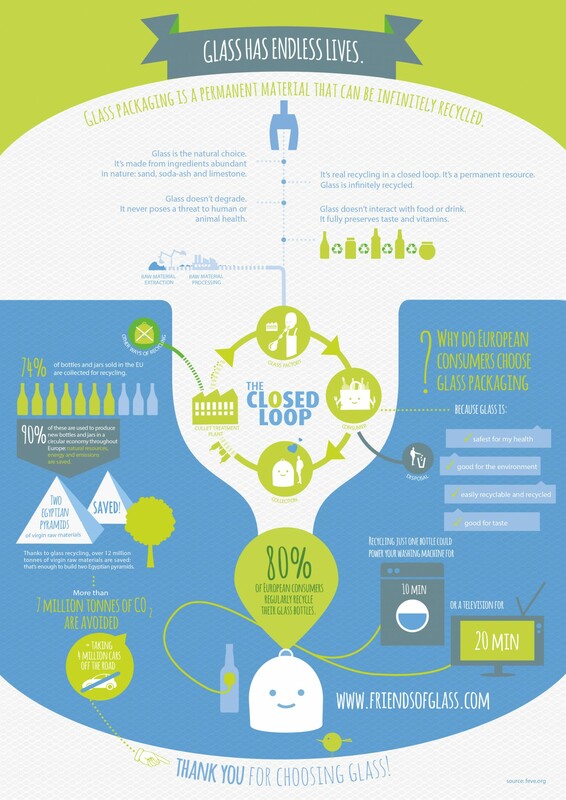 However, some 26% of glass bottles and jars are still today lost in landfills in Europe, and year to year comparison of national data reveals a multi-faceted landscape. Countries such as Sweden, Belgium, Germany or Slovenia continue to outperform. Other good performing countries like Austria or Denmark have instead recorded a slight decrease in recycling despite a positive consumption trend. In the Czech Republic, Finland or The Netherlands the downward trend was on par with shrinking consumption. 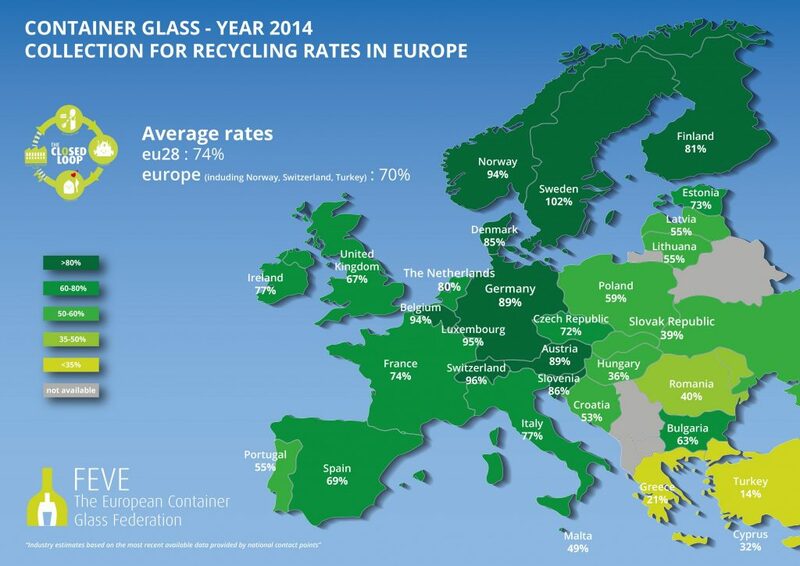 In Spain or Bulgaria, glass recycling is steadily increasing but there is a quite important gap to fill. The gap is even more important in Romania, Cyprus, Slovak Republic or Greece. Data show the situation varies from country to country and confirm the need for targeted investments in infrastructure and communication to citizens, not only in countries where there are important gaps to fill, but also to maintain the high standards of the traditionally good performing countries – says Adeline Farrelly, FEVE Secretary General – Glass is today the simplest and safest packaging recycling stream because glass is inert and keeps its inherent properties no matter how many times it’s recycled. If properly collected, it can be infinitely recycled in a closed loop.